New evidence into the mysterious North Canterbury death of a scuba diver, including claims that fellow divers hoped she'd never be found, led to police reopening the case more than three years on, it's been revealed today. Both police officers and a coroner who have looked into the February 2015 death of Thai national Bua-Ngoen "Goy" Thongsi off the North Canterbury coast in February 2015 have raised concerns about the differing stories of other crew members. The 37-year-old crayfish scuba diver's body was recovered off Motunau Beach two days after she disappeared. An inquest began in June this year but was reopened two months later after Coroner Brigitte Windley voiced dissatisfaction over witnesses and "reliability of evidence", which had failed to provide a plausible and cogent explanation for Thongsi's death. Two key figures on the dive trip, including the skipper, gave conflicting accounts of what happened on the fateful day. After media coverage of the reopened inquest, a new witness emerged with fresh claims, prompting police to reopen their investigation. However, despite police concluding that no charges would be laid, the inquest resumed for a third time today with the new witness outlining his explosive new evidence. He claimed that one man on the boat – a long-time friend – visited his Christchurch home hours after Thongsi disappeared. The witness, granted interim name suppression, described his friend as "sh****** himself" and fearing he may need a lawyer after Thongsi had died and "there was nothing we could do for her, we just had to let her go". He allegedly told his mate that he hoped they never find her body, or not for some time, so "they can't work out what happened," or be able to prove anything. A day or two later, they talked again after Thongsi's body had been found, the inquest heard. The boatie, now described as "chirpy", allegedly told his mate: "The sea has taken care of it, they can't prove anything." The coroner has heard that Thongsi went diving from a boat off the Motunau coast. When she resurfaced, she complained that her spare regulator was leaking some air. The skipper of the boat, an experienced diver, said he managed to fix the regulator before the second crew member held her hand and led her to the rear of the boat. It was then that he described her sinking backwards into the water like a "rag doll", looking through him, and showing no signs of life. But the skipper has claimed that she was breathing when she went back under, and that he saw bubbles emerge. She must've died under the water, he believes. Three inquest hearings have not been able to establish who released the air from Thongsi's buoyancy compensator (BCD). The witnesses say that when it became apparent that Thongsi was in trouble, the skipper took a spare dive tank and plunged down to find her. He originally told police it was too murky to see anything and shortly resurfaced. But he later changed his story and said although visibility was up to 3m, he forgot to turn the air tank on and came back up after just 30 seconds. He didn't go back down and after four minutes, he didn't think she would be alive. It took those on the boat an hour to raise the alarm. Coroner Windley and David Boldt, counsel assisting the coroner, have both expressed frustration that even after three hearings, many key questions have been left unanswered. They have repeatedly pressed witnesses to try and find out how Thongsi lost buoyancy, why the search was so brief, and why it took so long for emergency services to be called. Police had "a lot of red flags" over the case, Boldt said earlier, with concerns that three men on the boat when Thongsi was last seen were "trying to tell a combined story" to account for what had happened. 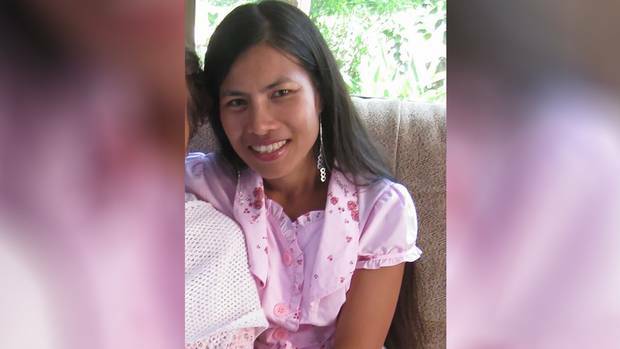 Thongsi's body was found just 100m from her last known position at a depth of about 10m. Police National Dive Squad officers found nothing wrong with Thongsi's equipment. When she was found on the seafloor, she had nearly a full tank of air. Her gear functioned perfectly on a reconstruction dive. A medical expert also found nothing in Thongsi's medical history to explain the sudden death of a seemingly healthy woman. An interim non-publication order prevents naming some witnesses and reporting other details of the case. Coroner Windley reserved her findings. • In February 2015, Thai national Bua-Ngoen "Goy" Thongsi went diving from a boat off the Motunau coast. • The 37-year-old crayfish scuba diver's body was recovered off Motunau Beach two days after she disappeared. • Thongsi was found just 100m from her last known position at a depth of about 10m. Nothing was wrong with her equipment and she had nearly a full tank of oxygen. • Police officers and a coroner who have looked into the death have raised concerns about the differing stories of other crew members on board.